Delicious baked, crispy biscuits with a soft strawberry flavoured filling, topped with a vanilla-flavoured drizzle. It's the perfect accompaniment to your tea or coffee break! 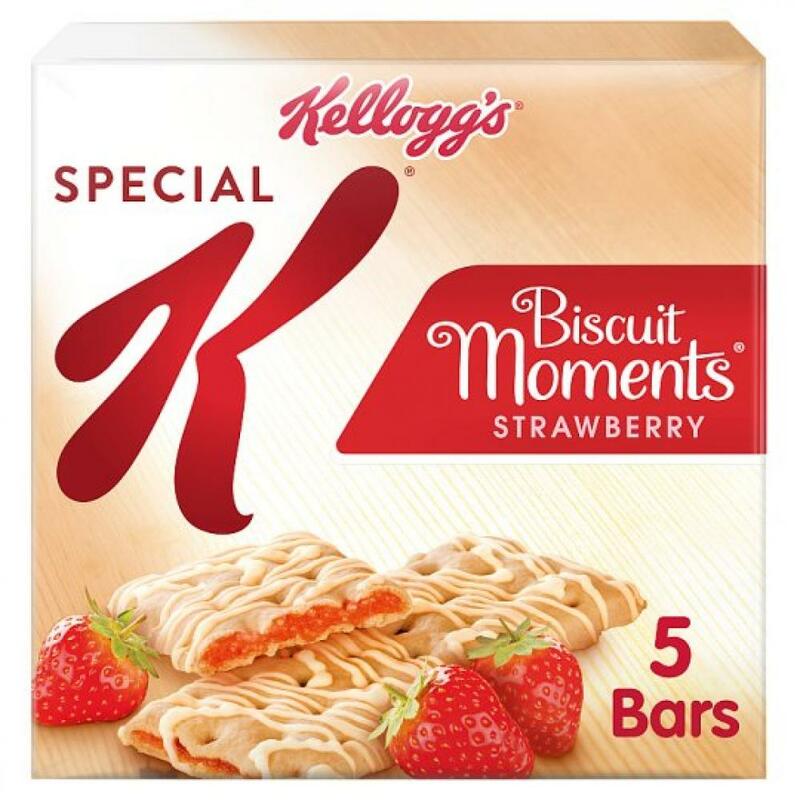 A tasty biscuit with a vanilla twist, our Special K Strawberry Biscuit Moments are a delicious snack for your tea or coffee break. Baked biscuit is filled with a soft strawberry-flavoured filling, before being topped off with a vanilla drizzle. The result is a convenient snack bar that's ideal for any time of day. Take a break and have a biscuit moment with Special K. Crispy thin baked biscuits filled with a tempting soft fruit or chocolate layer and topped with vanilla drizzle.